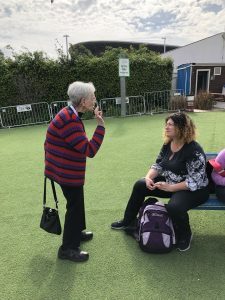 Seventeen professionals from the US visited Israel last month to learn about challenges and innovations in the field of aging. 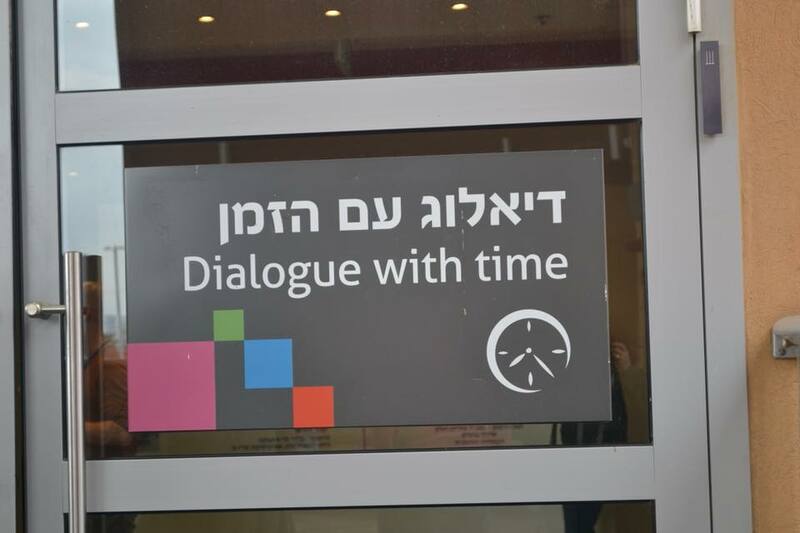 Our first encounter with aging in Israel was the Holon Children’s Museum, which offers an experiential glimpse of aging through its exhibit, Dialogue with Time. We were invited to feel aging in our bodies as we took on tasks with impediments, such as walking with oversized, ill-fitting shoes; placing medicines in bottles with inaudible and fast instructions, We were humbled and not nearly as competent as we imagine ourselves. Docents are elders, who share their experience and perspectives with visitors of all ages. Our docent was a wiry, lively woman who was celebrating her 84th birthday on the day we visited. She guided us through an exercise in which we chose from photos to indicate what we would consider to be a happy old age, and through a game show in which we had to separate myths from facts about aging. She told us that she had recently moved to Tel Aviv to be closer to children after her husband died, and that she loves her life. She swims every day, makes art, and volunteers at the museum several times a week. The museum was filled with school groups. 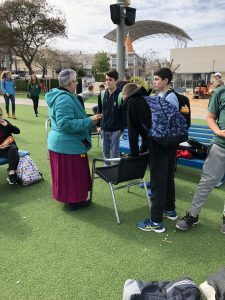 Some of the participants on our study tour engaged them in spontaneous intergenerational connecting. What a rich beginning!